New Zealand isn’t all glacial peaks, Hobbits, rolling plains and more sheep than you can poke a shepherd’s crook at. From wide open plains to remote coastlines, its incredible landscape also shapes the Kiwi culinary canon. Here’s what to eat on your next trip to the land of the long white cloud. 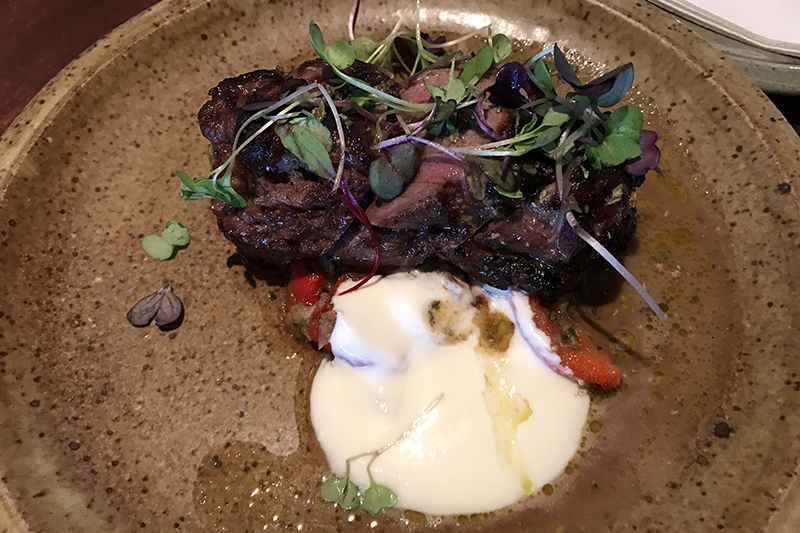 One protein you’ll find on just about every menu in New Zealand is lamb. After all, they say sheep still outnumber people six to one! You may have had Australian lamb, but grass-fed Kiwi lamb is in a league of its own. There’s nothing better than settling into a cosy restaurant on a chilly day and tucking into a slow-cooked lamb shoulder paired with pinot noir. While a hangi is an experience, not a specific food type, experiencing this Maori feast is a must for any visitor. A mix of vegetables and large cuts of meat are piled into a cloth sack or basket and placed on hot stones, where it is cooked underground. The result after hours of slow cooking and steaming, is tender meat and vegetables imparted with a rich smoky flavour. One of the best places to experience a hangi is Rotorua on the North Island. With almost 14,000 kilometres of coastline, New Zealand is a seafood lover’s nirvana. Whether you prefer your fruits of the sea grilled, steamed, smoked or raw, there’s no shortage of seafood to indulge in. 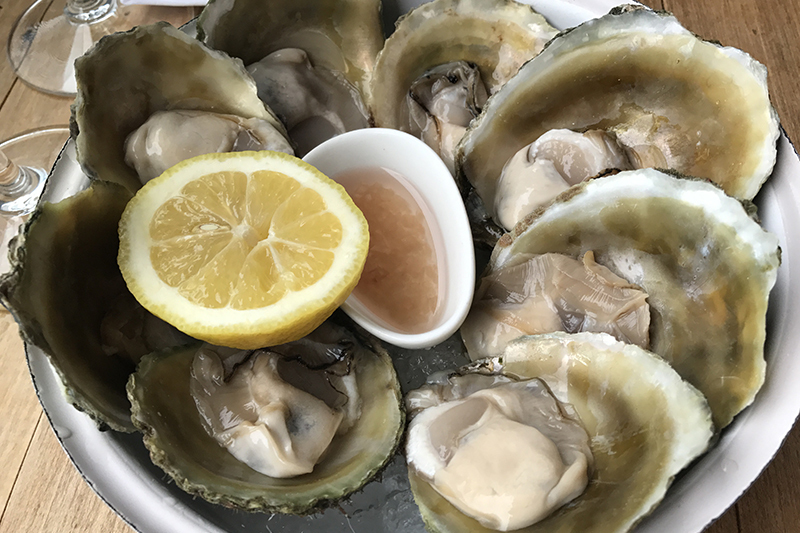 Bluff oysters are unique to New Zealand, grown slowly in the freezing cold waters of the South Island’s Foveaux Strait. The result of its slow growth process is a pleasantly plump, lusciously creamy and salty taste sensation, best served only with a squeeze of lemon. Highly coveted, there are annual festivals dedicated to this local speciality, and you can try them across the country from March until August, or whenever the yearly quota is hit. The tiny fish don’t look all that appetising, but drench a handful in batter and fry it until crispy, and you’ve got one of the most sought-after snacks in all of New Zealand. West Coast whitebait is yet another quintessentially Kiwi ingredient that has its own festival, the aptly named West Coast Whitebait Season Festivals held in Karamea, Westport, Greymouth and Haast. Distinct with a dark-green shell, plump green-lipped mussels can be enjoyed year-round all over the country. For the best of the bunch, head to Marlborough where 80 per cent of green-lipped mussels are sourced. 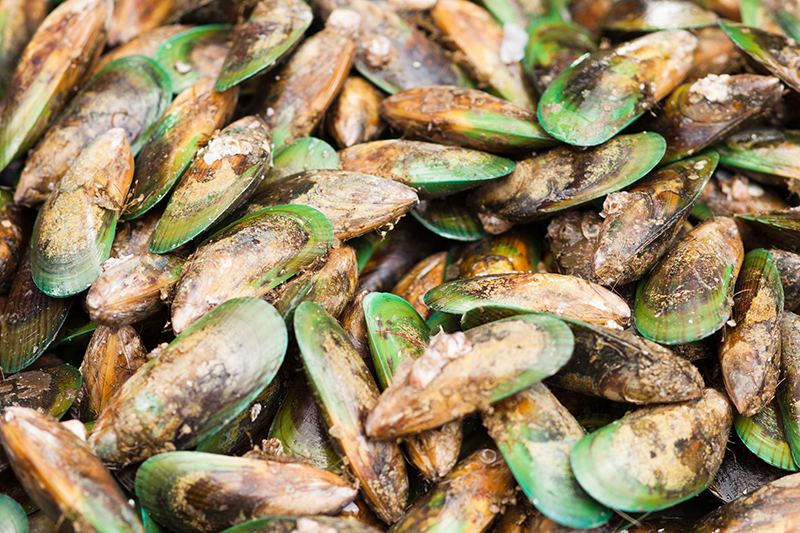 Top tip: join a mussel cruise to devour freshly steamed mussels paired with crisp Marlborough sav blanc. Choice! Kaikoura on the South Island isn’t just a base for wildlife watching. Its name literally means food (‘kai’) and crayfish (‘koura’), so it’s no surprise the coastal town is most famous for its shellfish. There are seafood caravans littered along the coastline (the most well-known is Nin’s Bin) dishing up the day’s freshest catch… and little else. Enjoy the uninterrupted ocean views while devouring cold or grilled crayfish tails and mussels. 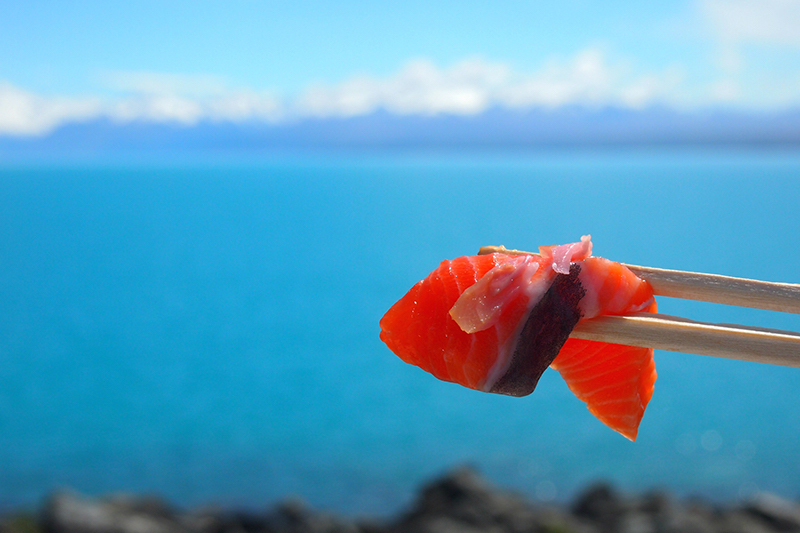 If the bright blue waters of Lake Pukaki don’t draw you in, perhaps the promise of fresh salmon will. New Zealand produces more than 50 per cent of the world’s king salmon, and the nearby Mt Cook Alpine Salon’s Tekapo site, 677 metres above sea level, is said to be the most sustainable salmon farm on the planet. Try it smoked or sashimi-style by the waters of the brilliant blue lake. A condensed milk-based chocolate log filled with yellow, green and pink ‘Eskimo’ sweets, this bakery favourite is a Kiwi institution. In classic Kiwi humour, the slogan of this soft drink is ‘world famous in New Zealand since ages ago’. The taste can be best described like a lemonade-flavoured Icy Pole. 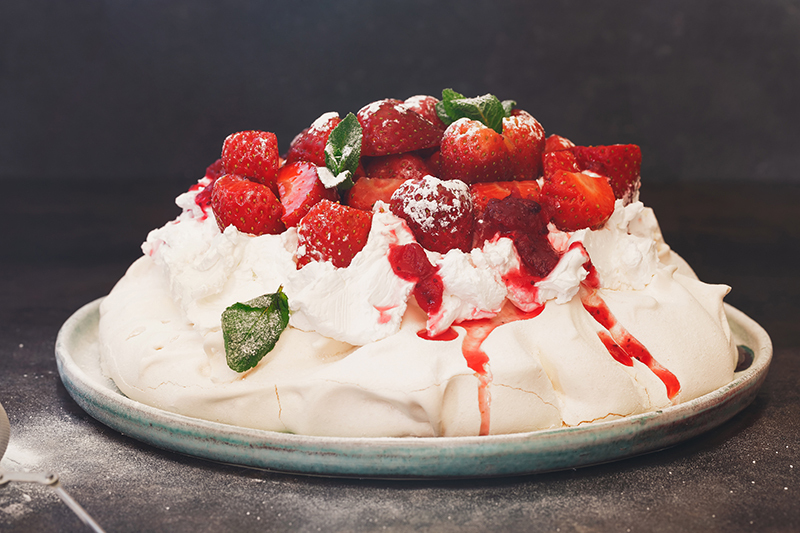 This seemingly innocent meringue-based dessert is the source of great contention between Aussies and Kiwis. Both sides claim it as their own, but nevertheless, the dessert is a huge part of Kiwi culture and a must-try when visiting (if only to see how it stacks up against the true-blue Aussie version). Rent a cheap at Discount car Rental to explore the delicious food around the New Zealand. Flight Center. (1st May, 2017). What to eat in New Zealand. Retrieved from http://www.flightcentre.com.au/travel-news/destinations/eatspo-new-zealand?utm_source=facebook&utm_medium=organic&utm_campaign=fcau_2017_kilo_always-on_always-on_2017.04-2017.04_website-visit&cd_tactic=blog-post.